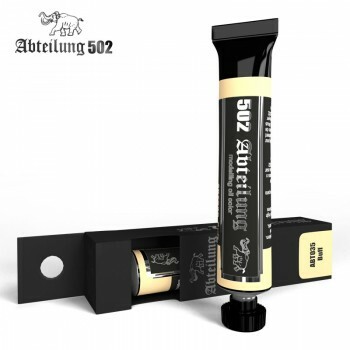 Abteilung 502 Buff Oil Paint 20mlSuitable to mix with all the base colours and create dirt and dust effects. Thanks to its light tone you will achieve shadow areas on white or light gray parts. Very useful to illuminate certain parts on brown, sand or tri-tone camouflages vehicles.